extracts training data, ISG becomes very unstable; but ssFCM and k-nn are less sensitive to changes of this kind. Udupa and Samarasekera etal. advocate the use of fuzzy connectivity for image segmentation. The examples presented by these authors all use 3D data. The basic methodology, like that of Dellepiane et al. , is applicable to 2D segmentation. This technique is initiated by a user-chosen seed for each tissue class, so it follows the basic requirements for belonging to our Su track. Image segmentation and object classification are achieved by thresholding a fuzzy relation in the given image. Udupa and Samarasekera begin with a formal representation of fuzzy digital spaces composed of space elements (spels) in digital p-space, special cases being pixels (p = 2) and voxels (p = 3). Spel intensities are used to compute fuzzy spel affinities, which in turn enable the authors to define and study the concepts of fuzzy connected components, fuzzy object extraction, and fuzzy spel labeling in images. Two region growing dynamic programming algorithms for fuzzy object extraction and labeling are proposed and analyzed. Both algorithms are initiated at a user-defined (seed) spel and are in this sense quite similar to Dellepiane et al. . However, Udupa and Samarasekera aim for a much more general framework and present a much more detailed mathematical analysis than Dellepiane et al. This is a pretty technical approach, but one that may be worth following. The better unsupervised techniques are still much too slow. Improving speed via parallelization and optimization will improve their competitiveness with, e.g., neural networks. Development of dynamic cluster validity analysis also shows promise. Unsupervised methods need better ways to specify and adjust c, the number of tissue classes sought by the algorithm. A study of 23 validity indices of all three types— crisp, fuzzy and probabilistic—concluded that mathematical validation for mixtures of normal distributions was generally unreliable . The VGC method seems useful for a limited objective, but in general, the main problem persists: If c is unknown, is there an automatic way to deduce that your algorithm has found an interpretation of the image that humans will find agreeable? Many experimental studies of countless validity indices with various data sets offer little cause for optimism. Our opinion is that much research needs to be done before reliance can be placed on mathematical validation. Human evaluation and labeling will probably continue to be the most popular and certainly the most reliable method for systems using the track USA approach, but this is subjective, time-consuming (and therefore expensive), and susceptible to errors introduced by human factors such as fatigue. Initialization of unsupervised iterative methods such as FCM is a third important area of research. Much effort has been invested in ways to initialize unsupervised methods at points in the solution space that don't lead to local trap states (the FCM(yM3) method, for instance). This is a pervasive problem for all gradient-based techniques and can be very serious in the application domain discussed here. The error functions that are being optimized have very large numbers of unknowns, so there will be a concomitant increase in the number of local solutions that make an algorithm happy but offer little to medical practitioners. Another problem that is actually caused by using clustering algorithm C for segmentation is the lack of enforcement of the region properties in Eq. (16). This problem is related to cluster validity, but is not caused entirely by not running C at the "correct" number of tissue classes. Very little work has been done about this problem. A paper by Tolias and Panas  addresses this problem as follows. After running FCM to termination on an image, they apply a Takagi-Sugeno type fuzzy rule base to the image. This last pass is noniterative and uses the rules to merge regions, smooth boundary transitions, and eliminate noise. This approach is new, and we think some variant of it will be an important and positive step toward improving the unsupervised approach to medical image segmentation. The most desirable situation is that the evolution of some form of track USB will eventually lead to a library of prelabeled prototypical images that can be used to train a generic classifier, thereby eliminating intervention by humans to supply tissue labels for clusters formed by algorithms in this track. However, variations in real images from location to location in the same patient, from patient to patient, and from sensor to sensor make this possibility rather remote at present. Image understanding groups have long since recognized the need for fusion of low and mid-level data and information. One of the hallmarks of track USB is the use of hybrid models that fuse low-level, pixel-based processing with mid-level rules, facts, heuristics, and rules of thumb in knowledge-based systems. This is the trend in both medical and nonmedical image understanding efforts. The work reviewed here supports this trend, and we believe that track USB will ultimately yield a truly unsupervised design for (limited objective) medical image analysis. At the input end, knowledge-based labeling with well-established rules can dramatically reduce the number of unlabeled pixels (windows, cases, etc.) that need to be classified. And at the output end, rules can be used to "clean up'' unsupervised outputs and then label the final tissue classes. We believe that research in this area will grow, as will the achievement of dynamic cluster validity using cluster merging and splitting rules. These rules will be both mathematically and teleologically based. Aggregation of evidence using Sugeno-type fuzzy integrals should be of great help in this area. Experience and careful documentation of many case studies in a particular area (such as segmentation of MR imagery) are needed to make any real progress in this area. The instability of supervised techniques to training sets across different sensors, patients, and even within MR slices for the same patient might be improved by the generation of more globally representative training sets. The growth industry in track Su is probably in neural networks and their fuzzy relatives, a topic that we purposely eschewed in this chapter. However, without expert rules, we feel that supervised learning for segmentation of medical images—with or without the new network approaches that are nowadays so fashionable—has little chance to become the backbone of computational image analysis in fielded systems that are reliable enough to be accepted by the health care industry. The general accuracy of computational techniques that perform well needs to be further investigated across different imaging devices, types of patient problems, and medical communities. Perhaps the largest single impediment to real success in this domain is the lack of very large (e.g., 100,000 sets of labeled patient slices for MR studies per pathology), well-documented databases. The Digital Database for Screening Mammography (DDSM ), if constructed as advertised with 3000 cases encompassing 12,000 images, offers a minimally acceptable basis for mammography research, but still falls far short of what we believe to be an adequate number of cases for training and testing. There are many other important areas in medicine that share imaging sensors as a common thread (e.g., cancer of the cervix, prostate cancer, bone cancer, heart disease, lung disorders). The construction of such databases, which can be shared worldwide, is difficult and expensive. On the other hand, the reward—delivery to the health care industry of an economical means of vastly improved diagnosis, treatment, and recovery procedures—is well worth the cost. The classification of suspicious areas in a medical image should, when possible, be compared quantitatively to ground truth patient information, in terms of the number of false positives and false negatives. Furthermore, error rates only tell part of the story. They should always be benchmarked against visual assessment by practicing clinicians. The development of useful instruments for solicitation from and interaction between medical personnel and computer scientists is an area for careful research that is often ignored. For example, in mammography, useful judgmental functions for radiologists include assessment of the enhancement quality of the breast skin line and breast substructure, the sufficiency of the detail level within and outside these areas, and the level of differentiation between normal and abnormal tissues. However, providing outputs for these assessments and user-friendly communication channels to convey them are nontrivial issues, and this aspect of medical image analysis is usually given scant attention by computer professionals. More work needs to be done to involve qualified human factors personnel throughout the system development process in the design of instruments that provide such feedback. Finally, fusion of outputs (multiple classifiers) is very fashionable nowadays, and rightfully so. Information of different types certainly resides in different sensors and processing streams. This falls in the realm of the overworked buzzwords "sensor fusion"; the buzzwords are overworked, but the idea is solid—can we combine information from different outputs so that the fused image is more informative to clinicians than either of the component images? This works in other application areas (see  for an example in land-mine detection). Multiple fuzzy models can be integrated to essentially cast a weighted vote for "significant" areas within an image, and we believe that fuzzy models will be useful for this purpose. The use of soft decision templates , for example, to combine confidences about pixels and pixel windows, has enjoyed success in other application domains, and thus seems appropriate here as a useful means for fusion of multiple output streams. The soft decision template model (and many neural network models that were not covered in this chapter) does not explicitly concern medical imagery, but we suspect that methodologies of this kind will be useful in the domain of computational medicine. A last important area we want to mention is data acquisition and the understanding of how engineering principles that govern imaging technology affect the presentation of medical images with different media. We see a need to systematically assess how the medium upon which, say, a mammogram is presented influences the interpretation task and other clinically related issues. Examining the impact of the human-computer interface in medical imaging is an interesting, exciting, important, and very difficult undertaking, as it involves human factors engineering, computer science, and medical expertise. Studies of this aspect of medical imaging, done in a coordinated and integrated manner, are needed to provide a solid groundwork for biomedical computer scientists and engineers. This work was supported by a Whitaker Foundation Biomedical Engineering grant to MAS, ONR grant 00014-961-0642 to JCB, and a CUR summer fellowship to TCC. 1. Nguyen, H. T., and Sugeno, M., eds. (1998). Fuzzy Systems: Modeling and Control, Kluwer, Norwell, MA. 2. Klir, G., and Yuan, B. (1995). Fuzzy Sets and Fuzzy Logic— Theory and Applications, Prentice Hall, Englewood Cliffs, NJ. 3. Bezdek, J. C., Keller, J. M. Krishnapuram, R, and Pal, N. R. (1999). Fuzzy Models and Algorithms for Pattern Recognition and Image Processing, Kluwer, Norwell, MA. 4. Bezdek, J. C., and Pal, S. K. (1991). Fuzzy Models for Pattern Recognition, IEEE Press, Piscataway, NJ. 5. Bezdek, J. C. (1993). Fuzzy models—what are they, and why?, IEEE Trans. Fuzzy Systems, 1(1), 1-7. 6. Zadeh, L. A. (1965). Fuzzy Sets, Inf. and Control, 8, 338353. 7. Cheeseman (1988). An inquiry into computer understanding. Comp. Intell., 4, 57-142 (with 22 commentaries/ replies). 8. Woodall, W. H., and Davis, R. E. (1994). Comments on "Editorial: Fuzzy models—what are they and why? '', IEEE Trans. Fuzzy Systems, 2(1), 43. 9. Bezdek, J. C. (1994). The thirsty traveller visits Gamont: A rejoinder to "Comments on 'Editorial: Fuzzy models— what are they and why? '', IEEE Trans. Fuzzy Systems, 2(1), 43. 10. Bowyer, K., Kopans, D., Kegelmeyer, W. P., Moore, R. Sallam, M., Chang, K., and Woods, K. (1996). The digital database for screening mammography, Proc. Third International Workshop on Digital Mammography, 58. Electronic contact information includes e-mail ([email protected]) and a URL address (http://marathon.csee.usf.edu/Mammography/ Database.html). 11. Hume, A., Thanisch, P., and Hartswood, M. (1996). On the evaluation of microcalcification detection algorithms. Proc. Third International Workshop on Digital Mammography, 71-72. 12. Apple Computer, Inc. (1997). LaserWriter 16/600 PS product information, Apple Computer, Inc.
13. Green, W. B. (1989). Digital Image Processing: A Systems Approach, Van Nostrand Reinhold, New York, NY, 2nd edition. 14. Gonzalez, R. C., and Woods, R. E. (1992). Digital Image Processing. Addison Wesley, Reading, MA. 15. Bensaid, A., Hall, L. O., Bezdek, J. C., and Clarke, L. (1996b). Partially supervised clustering for image segmentation, Pattern Recognition, 29(5), 859-871. 16. Huo, Z., Giger, M. L., Olopade, O. I., Wolverton, D. E., Zhong, W., Tahoces, P. G., Narvid, S. I., and Doi, K. (1996). Computer-aided diagnosis: breast cancer risk assessment from mammographic parenchymal pattern in digital mammograms, Proc. Third International Workshop on Digital Mammography, 87. 17. Morrison, M., and Attikouzel, Y. (1994). An introduction to the segmentation of Magnetic Resonance images, Aust. Comp. J, 26(3), 90-98. 18. Just, M., and Thelen, M. (1988). Tissue characterization with T1, T2 and proton density values: Results in 160 patients with brain tumors, Radiology, 169, 779-785. 19. Hyman, T. J., Kurland, R. J., Levy, G. C., and Shoop, J. D. (1989). Characterization of normal brain tissue using seven calculated MRI parameters and a statistical analysis system, Mag. Res. in Med., 11, 22-34. 20. Vannier, M. W., Pilgram, T. K., Speidel, C. M., Neumann, L. R., Rickman, D. L., and Schertz, L. D. (1991). Validation of magnetic resonance imaging (MRI) multispectral tissue classification, Computerized Medical Imaging and Graphics, 15(4), 217-223. 21. Raman, S. V., Sarkar, S., and Boyer, K. L. (1991). Tissue boundary refinement in magnetic resonance images using contour-based scale space matching, IEEE Trans. on Med. Imag. 10(2), 109-121. 22. Jain, A. K., and Flynn, P. J. (1996). Image segmentation by clustering, in Advances in Image Understanding, ed. K. Bowyer and N. Ahuja, IEEE Computer Society Press, Los Alamitos, CA, 65-83. 23. Dellepiane, S. (1997). The active role of 2-D and 3-D images: semi-automatic segmentation, in Contemporary Perspectives in Three-Dimensional Biomedical Imaging, ed. C. Roux and J. L. Coatrieux, IOS Press, 165-189. 24. Prewitt, J. M. (1970). Object enhancement and extraction in picture processing and psychopictorics, in Picture Processing and Psychopictorics, eds. B. S. Lipkin and A. Rosenfeld, Academic Press, New York; 75-149. 25. Herndon, R. C., Lancaster, J. L., Toga, A. W., and Fox, P. T.
(1996). Quantification of white and gray matter volumes from T1 parametric images using fuzzy classifiers, J. Mag. Res. Imaging, 6(3), 425-435. 26. Hata, Y., Hirano, S., and Kamiura, N. (1998). Medical image granulation by fuzzy inference, Proc. NAFIPS Conf eds. J. C. Bezdek and L. O. Hall, 188-192. 27. Hata, Y., Kobashi, N., Kamiura, N., and Ishikawa, M.
(1997). Fuzzy logic approach to 3D magnetic resonance image segmentation, Infor. Proc. in Medical Imaging, Lecture notes in Comp. Science, v.1230, 387-392. 28. Clark, M., Hall, L. O., Goldgof, D. B., Velthuizen, R., Murtagh, F. R., and Silbiger, M. S. (1998). Automatic tumor segmentation using knowledge-based techniques, IEEE Trans. on Medical Imaging, 17(2), 187-201. 29. Bezdek, J. C., Hall, L. O., and Clarke, L. P. (1993). Review of MR image segmentation techniques using pattern recognition, Med. Physics, 20, 1033-1047. 30. Clark, M., Hall, L., Goldgof, D., Clarke, L., Velthuizen, R., and Silbiger, M. (1994). MRI segmentation using fuzzy clustering techniques: integrating knowledge, IEEE Engineering in Medicine and Biology Magazine, 13(5), 730-742. 31. Keller, J., Krishnapuram, R., Gader, P. D., and Choi, Y. S. (1996). Fuzzy rule-based models in computer vision, in Fuzzy Modeling: Paradigms and Practice, ed. W. Pedrycz, Kluwer, Norwell, MA. 32. Bensaid, A., Hall, L. O., Bezdek, J. C., Clarke, L., Silbiger, M., Arrington, J., and Murtaugh, R. (1996). Validity-guided (re)clustering with applications to image segmentation, IEEE Trans. Fuzzy Systems, 4(2), 112-123. 33. Xie, X. L., and Beni, G. A. (1991). Validity measure for fuzzy clustering, IEEE Trans. PAMI, 3(8), 841-846. 34. Vaidyanathan, M., Clarke, L. P., Velthuizen, R. P., Phuphanich, S., Bensaid, A. M., Hall, L. O., Bezdek, J. C., Greenberg, H., Trotti, A., and Silbiger, M. (1995). Comparison of supervised MRI segmentation methods for tumor volume determination during therapy, Mag. Res. Imaging, 13(5), 719-728. 35. Bezdek, J. C., Hall, L. O., Clark, M. C., Goldgof, D. B., and Clarke, L. P. (1997). Medical image analysis with fuzzy models, Stat. Methods in Medical Research, 6, 191-214. 36. Velthuizen, R. P., Hall, L. O., Clarke, L. P., and Silbiger, M. L. (1997). 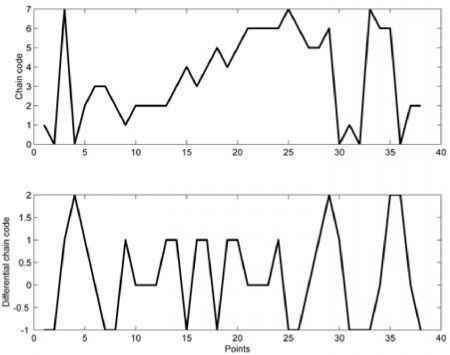 An investigation of mountain method clustering for large data sets, Patt. Recog., 30(7), 1121-1135. 37. Yager, R. R., and Filev, D. P. (1994). Approximate clustering by the mountain method, IEEE Trans. Syst., Man and Cyberns., 24(8), 1279-1283. 38. Bezdek, J. C., and Sutton, M. A. (1999). Image processing in medicine, ch. 12 in Applications of Fuzzy Sets, ed. H. Zimmermann, Kluwer, Norwell, MA. 39. Menhardt, W., and Schmidt, K. H. (1988). Computer vision on magnetic resonance images, Pattern Recognition Letters, 8, 73-85. 40. Li, C., Goldgof, D., and Hall, L. (1993). Knowledge-based classification and tissue labeling of MR images of human brains, IEEE Trans. Med. Imaging, 12(4), 740-750. 41. Hillman, G. R., Chang, C. W., Ying, H., Kent, T. A., and Yen, J. (1995). Automatic system for brain MRI analysis using a novel combination of fuzzy rule-based and automatic clustering techniques, SPIE Proc. Med. Imaging 1995: Image Processing, v2434, ed. M. H. Lowe, SPIE Press, Bellingham, WA, 16-25. 42. Chang, C. W., Hillman, G. R., Ying, H., Kent, T., and Yen, J. (1995). Automatic labeling of human brain structures in 3D MRI using fuzzy logic, Proc. cFSA/IFIS/SOFT '95, World Scientific, 27-34. 43. Chang, C. W., Hillman, G. R., Ying, H., and Yen, J. (1995). A two stage human brain MRI segmentation scheme using fuzzy logic, Proc. 1995 FUZZ-IEEE, IEEE Press, Piscataway, NJ, 649-654. 44. Pedrycz, W. (1985). Algorithms of fuzzy clustering with partial supervision, Patt. Recog. Letters, 3, 13-20. 45. Bensaid, A., Hall, L. O., Bezdek, J. C., and Clarke, L.
(1996). Partially supervised clustering for image segmentation, Pattern Recognition, 29(5), 859-871. 46. Namasivayam, A., and Hall, L. O. (1995). The use of fuzzy rules in classification of normal human brain tissues, Proc. ISUMA-NAFIPS'95, 157-162. 47. Jain, R., Kasturi, R., and Schunck, B. G. (1995). Machine Vision, McGraw-Hill, New York. 48. Xiaoping, X., Alperin, N., Levin, D. N., Tan, K. K., and Mengeot, M. (1991) Visualization of MR angiographic data with segmentation and volume rendering techniques, J. Mag. Res. Imag, 1, 539-546. 49. Udupa, J. K., Samarasekera, S. W., Miki, Y., van Buchem, M. A., and Grossman, R. I. (1997). Multiple schlerosis lesion quantification using fuzzy-connectedness principles, IEEE Trans. Medical Imaging, 16(5), 598-609. 50. Dellepiane, S., Fontana, F., and Vernazza, G. L. (1996). Nonlinear image labeling for multivalued segmentation, IEEE Trans. Image Processing, 5(3), 429-446. 51. Bezdek, J. C., Li, W. Q., Attikiouzel, Y. A., and Windham, M. P. (1997). A geometric approach to cluster validity, Soft computing, 1, 166-179. 52. Tolias, Y. A., and Panas, S. M. (1998). On applying spatial constraints in fuzzy image clustering using a fuzzy rule-based system, IEEE SP Letters, 5(10), 245-247. 53. Mammographic Image Analysis Society (MIAS), Digital Mammogram Database (1994). Electronic contact information includes e-mail ([email protected]) and a URL (http://s20s.smb.man.ac.uk/services/MIAS/ MIAScom.html).